Instaflex - Unauthorized credit charge. You were informed by telephone after receiving trial sample of INSTAFLEX to cancel any further shipments. The phone call was made on or about about 1/28/12. There was no apparent change in the condition of the knee during the 30 day trial. 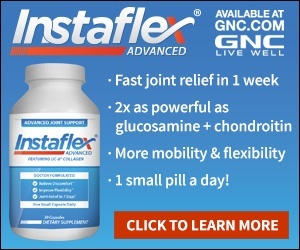 I was given to understand that INSTAFLEX would improve the HA in the knee and further, improve the condition of the cartilage. I'm not PISSED, but disappointed that the product did not stand up to the claim. Please credit my credit card for $74.98. The charge appeared on my credit card as [DDL*INSTAFLEX 30DAY SP]. If the INSTAFLEX has already been shipped, advise how to return the shipment without charge to me. Review #261490 is a subjective opinion of wehark. I ordered the 14 day trial for $4.99, after receiving it, I called to cancel the order within 16 days (actually I called 6 days after receiving). They sent the second shipment anyway and charged my account. I have contacted Instaflex, received an RGA number and will return the product per their instructions utilizing their own shipping number as I was instructed to mark package "Return to sender", and I have notified my bank of a billing dispute and their promise to refund the full amount within 72 business hours. We will see if they do.